Happy first day of school, bellingFAMILIES! We got everyone delivered to their new classrooms (and schools!) with smiles on their faces. The girls are at a new school this year, since we moved earlier in the spring. And Everett is in the big-kid class in preschool, his last year! 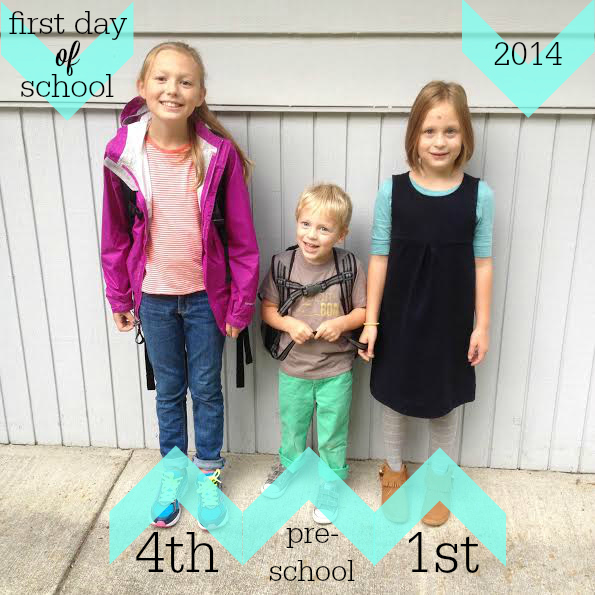 This entry was posted in Life and tagged 2014, Back-to-School, First Day of School, School Days on September 2, 2014 by Katie Kavulla.